It was thanks to a recommendation from our friends at the Animal Bike Tour that we found ourselves taking a booking for Thorpe Park. We were asked to put on shows throughout the Easter break, to fill the gaps between the bike tour shows as part of the MASH UP spectacular, celebrating the launch of new ride – Swarm. 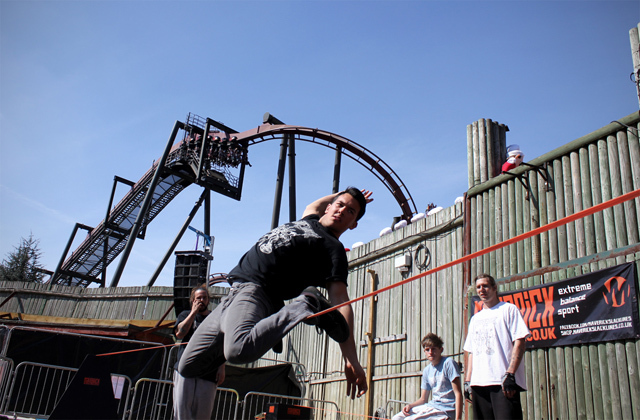 The ‘mash-up’ was a collaboration between 3 extreme sports – Slacklining, obviously… Mountain biking, represented by the trials legend that is Martyn Ashton and dirt-slayer Blake Samson… and free-running, represented by the guys from Storm Freerun – Paul “Blue” Joseph, Tim “Live-wire” Shieff and Phil Doyle. Storm and the Animal bike tour had fused into one jaw-dropping show and it was down to us, between shows, to entertain the crowds that filled the arena. 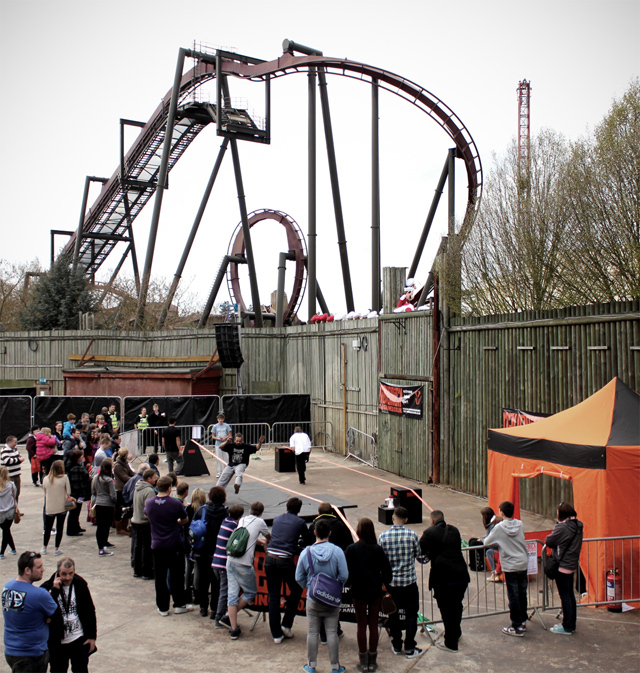 Big Thanks to Thorpe Park and the Animal Bike tour for a great few days.